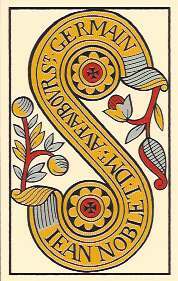 Welcome to the fascinating world of historic Tarot! Are you intrigued by historic decks like the Tarot de Marseilles and the Visconti-Sforza, but don’t think it’s possible to read with them? Do you wonder how people can read cards without illustrated scenes on them? Do you think reading with historic decks means memorizing lists of key words? On the following pages you’ll see how easy and intuitive it is to read with historic decks that do not have illustrations on the minor arcana numbered cards. I’ll guide you through a process for turning any Tarot deck into a living oracle that will speak with your unique voice. To start off, check out Choose a Deck for a survey of what’s readily available in today’s market. The only tools you need are a tarot deck and a notebook with a page dedicated to each card. After completing the exercises in the Read the Pips section you’ll experience each number card as a vortex of meaning that allows your intuition to adapt the cards to any situation. The tips in the Read the Courts section will help you see the court cards as three-dimensional personalities. In the Read the Trumps section you’ll discover that the trump cards (Major Arcana) are the easiest for experienced readers to work with. Bringing it Together, Preparing to Read, and Spreads will give you practical applications for everything you’ve learned. The Resources page has links to vendors, websites for viewing decks, and suggestions for further reading.